This is a limited run / color / style. 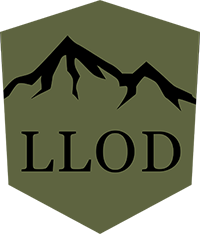 LLOD Embroidered logo is larger, centered, with just the outline - allowing the camouflage pattern to show through. 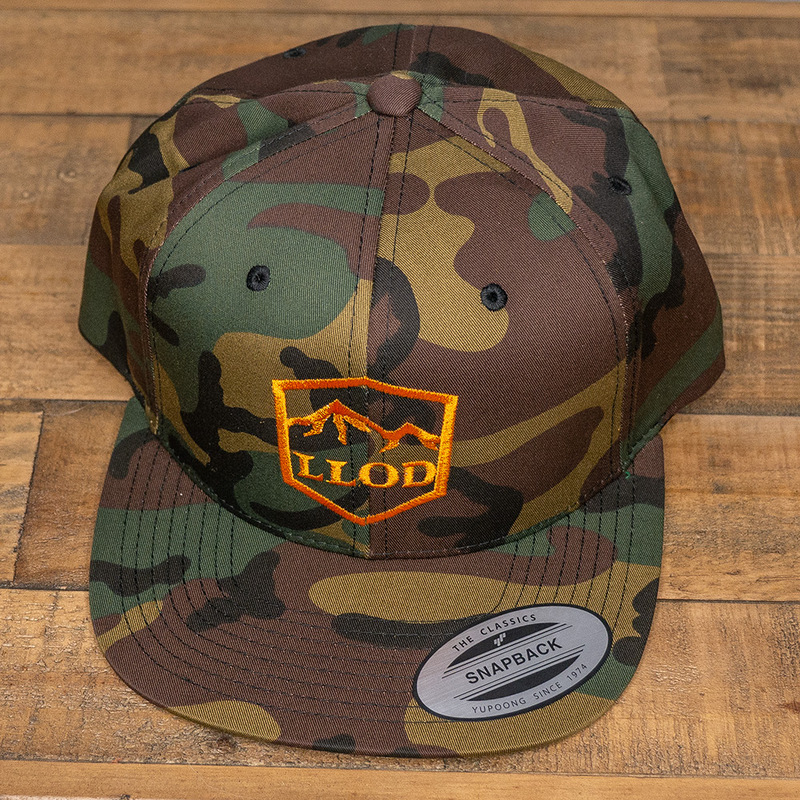 Color of the embroider is a orange, and the camo pattern is woodland. 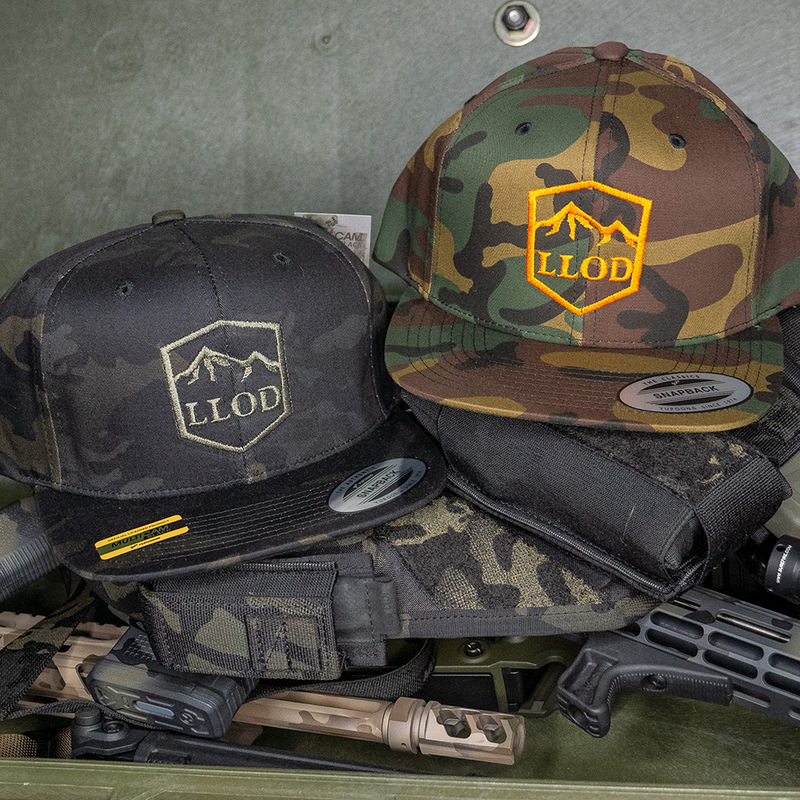 Random Camouflage pattern means every hat will be unique. One-size-fits-all. 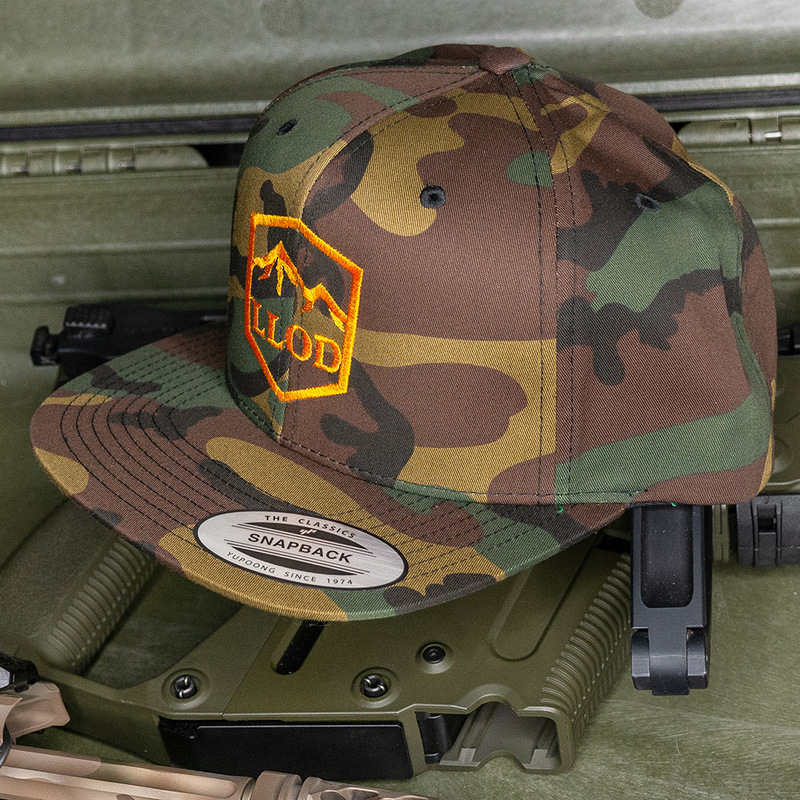 Features a snapback closure, and camo pattern all around. This style is called 'The Classic Snapback' and has a structured front, with a flatter bill. 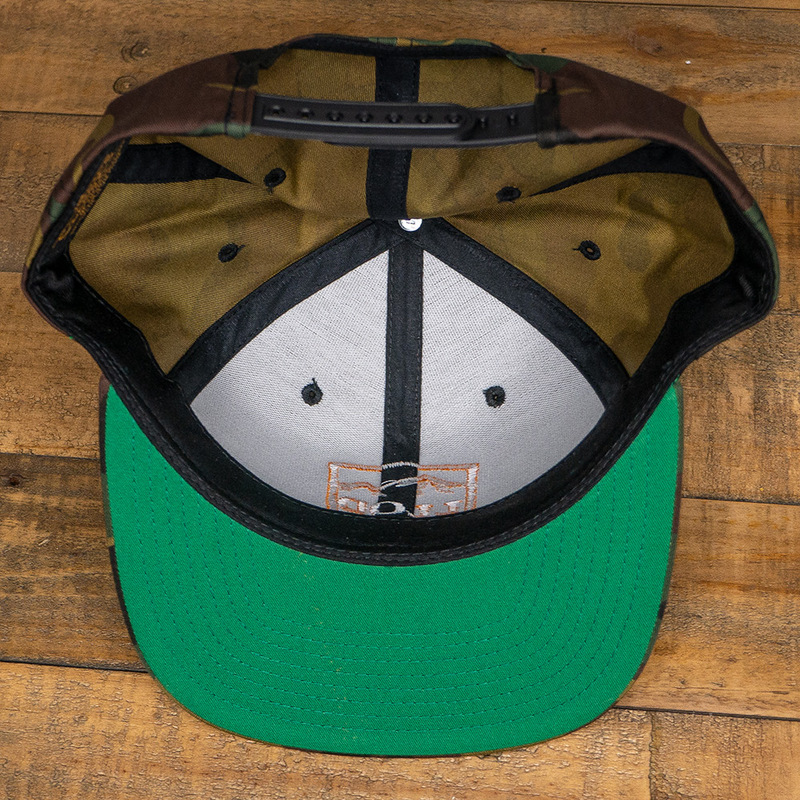 This hat has a slightly taller profile than the Trucker, Flexfit, or Unstructured hats. Black plastic snap closure. Hard buckram.